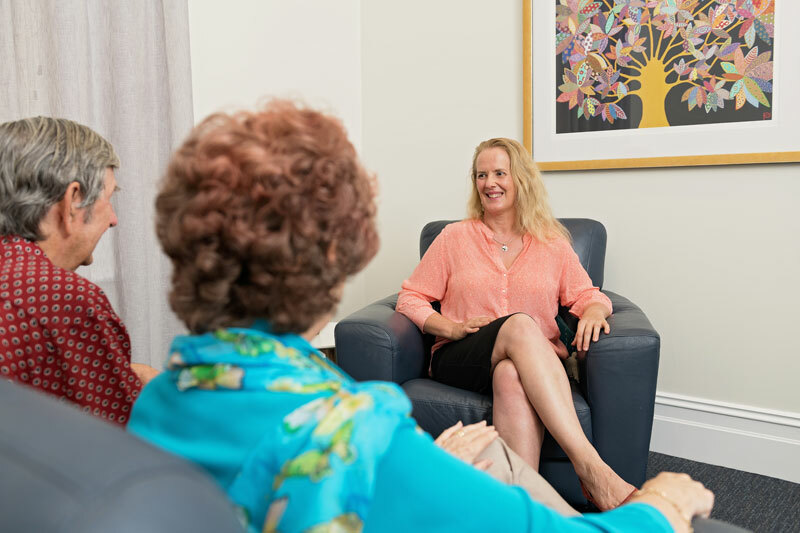 At Attuned Psychology, North Adelaide and Glenelg South we ensure your experience is comfortable, confidential and safe. 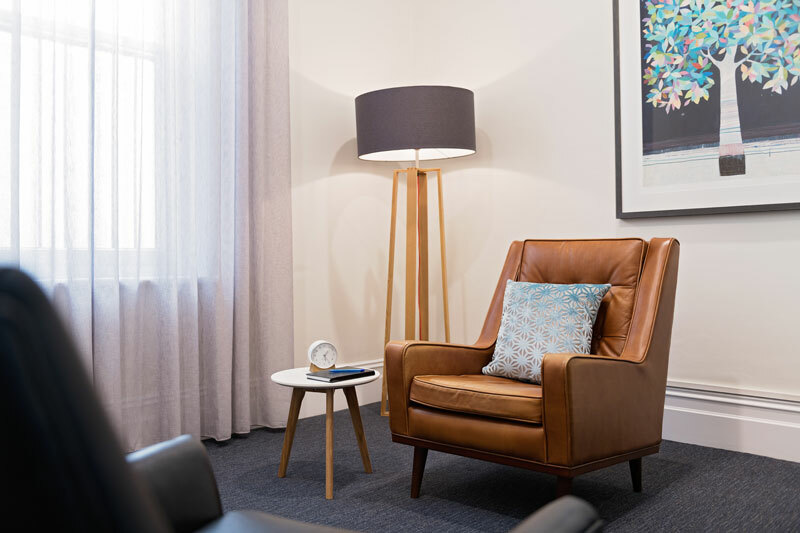 Our welcoming, relaxing and private consulting rooms in North Adelaide are set in a lovely heritage building just minutes from the centre of Adelaide. 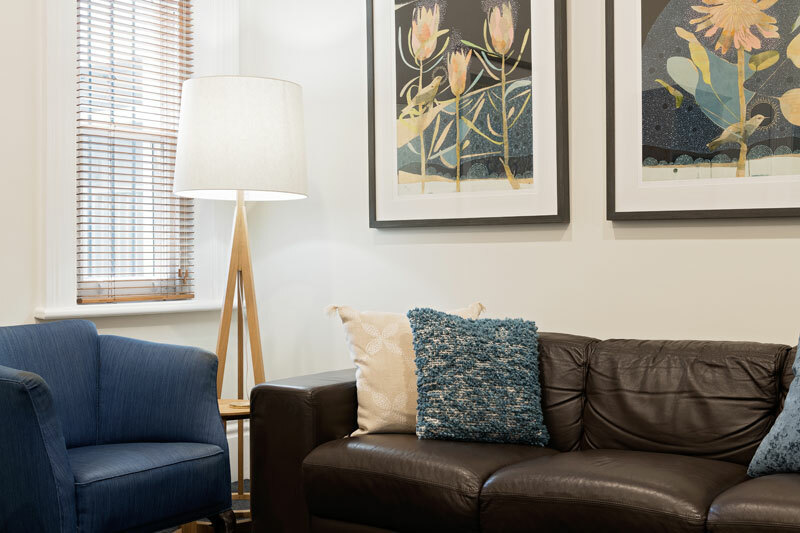 Our walls feature beautiful South Australian artworks so you feel more like you are visiting a trusted friend than a clinical practice. 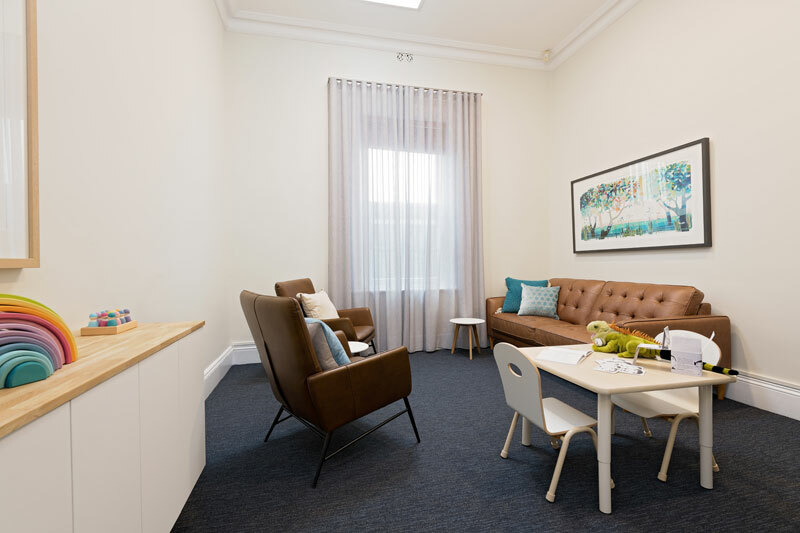 Our high quality stylish, artistic and comfortable consulting rooms all have beautiful high ceilings and each of them serve one or more functions. Given what we know about the psychology of our environment and it’s effect on our mood, we have taken care to create a space that is consistently associated with safety, comfort, privacy, and growth. 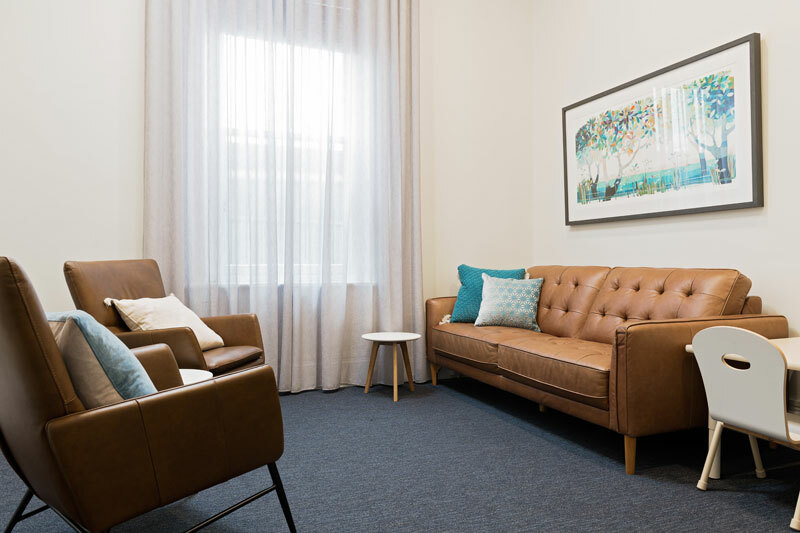 What’s most important is that our space allows you to relax the moment you walk in while feeling supported by any members of the Attuned team. 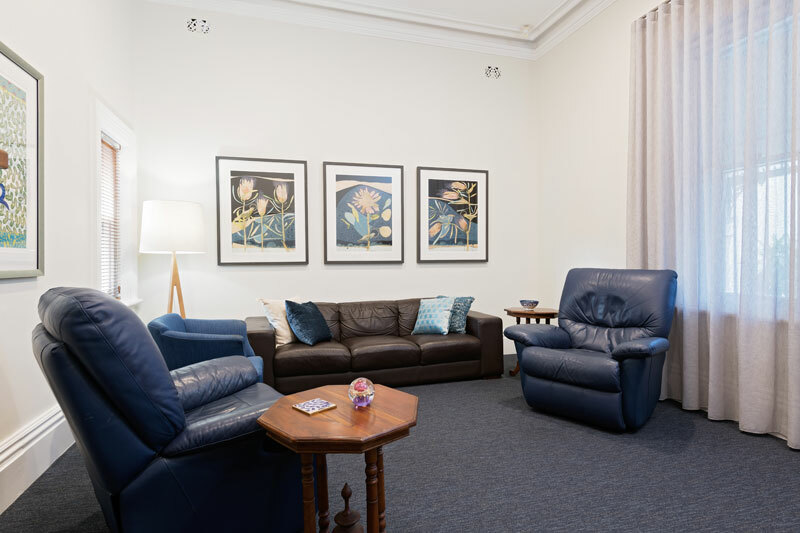 Our waiting area and cobblestone courtyard gives you an interesting insight into the history of this building that was once the North Adelaide police station. You will see the old police counter and the cells outside, which we believe provides a welcomed character rather than a corporate office environment. We have done all we can to create an experience that facilitates change and growth by ensuring people feel comfortable enough to relax and speak. Over time, we have enjoyed transforming the courtyard into a more serene retreat space with a view of the garden. This space lends itself to some quiet meditation or reflection while waiting for your appointment. 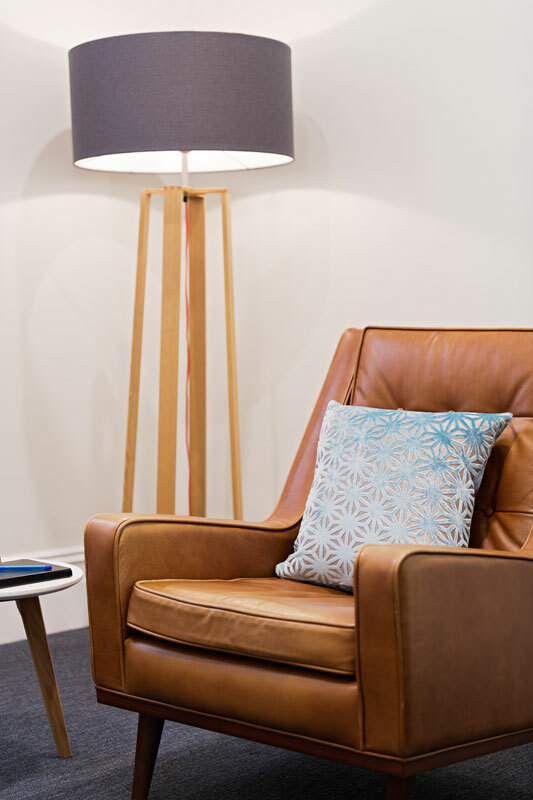 If you are a parent this allows you to relax and read a magazine over a cup of tea while your child is being well looked after by one of our practitioners. The opportunity to stop and be mindful in this way whether it be before, after or during your appointment is often appreciated by our clients. From time to time we also run events in this space, sometimes incorporating mindfulness meditation, discussion groups or presentations and giving us the opportunity to open the doors to the community and breaking down the myths about what it is like to see a psychologist. We look forward to welcoming you or others you are connected to into our space.